Discussion in 'Civ2 - Game of the Month' started by Magic_gorter, Dec 6, 2010. Extra rules: Before you may leave the island you must irrigate the entire island. The peat special is the only tile you don't have to irrigate. It's also allowed to mine this tile. You can't build a ship before all the irrigating is done. It's allowed to start one which can be RB when the last tile is irrigated. It's not allowed to change tiles (mine) to forrest and then irrigate. It's allowed to build more cities on the island. So when building it on a grasstile this tile doesn't need to be irrigated first. This month is a normal game with one extra rule. Before you may leave the island you must irrigate the entire island. The peat special is the only tile you don't have to irrigate. Good luck and have fun. Games will be due on January 30 th, 2011. What does 'leave the island' mean? Does that mean that we can't even build a trireme (or other ship) before all of the irrigating is done? Do we have to irrigate the swamps or can we mine them (and change them to forests)? If we choose to (or have to) irrigate the swamps, do we also have to irrigate the grassland that results? I suppose we are going to have to include a special save with the normal saves. The special save is for the turn when the irrigation is complete. What does 'leave the island' mean? Does that mean that we can't even build a trireme (or other ship) before all of the irrigating is done? Indeed, you can't build a ship before all the irrigating is done. It's allowed to start one which can be RB when the last tile is irrigated. Do we have to irrigate the swamps or can we mine them (and change them to forests)? If we choose to (or have to) irrigate the swamps, do we also have to irrigate the grassland that results? No, you need to irrigate all the tiles (->changing to grassland->irrigating again). But it's allowed to build more cities on the island. So when building it on a grasstile this tile doesn't need to be irrigated anymore. No extra save is needed. I don't think most people will leave the island before 1 AD. Is always ok to send an extra save. I cannot find the save file. Has anyone downloaded it yet? I don't see a file to be downloaded either. Forgot to add the link from the original downloadpage. You should be able to download it now. Is it okay to mine a swamp to turn it to forest, then irrigate the forest to turn it to plains and then irrigate the plains? Also, once all of the squares have been irrigated, are we free to change irrigated grassland squares to something else (like forest for shield production)? Do the tiles where a future city will be built, has to be irrigated ? If that is the case, then we have to Irrigate the location of our first city ( Babylon ) ? As I recall from previous games, when you built a city on an irrigated tile, the irrigation lines disappear. 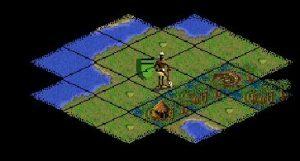 So...do we have to send saves of the location where a city will be buit showing that it was Irrigated, or the change on terrain is mandatory for every tile EXCEPT the peat special . I guess building Caravans it is allowed to start some wonders IN the island. Glad to see you back URUWASHI. It has been a while. No, irrigation is not necessary for city sites. Magic already clarified this point in response #3 above. However, I suppose you should build those cities before leaving the island. I will add this and the other remarks in the first post. @MG Tx for the clarifications, and more importantly, for monarchy. Magic : I am sorry....I missunderstood the rules...I THOUGH we could NOT leave the Island until 1 AD. Have my trireme ready by the time the Island was irrigated and roads built in every tile.
" No extra save is needed. I don't think most people will leave the island before 1 AD." So I will submit my 350 BC save with the standard ones. PS- I would like to elaborate how I did it, but I will post that on the Spolier Thread. Yes please Uruwashi, telling others about your progress of the game should be posted in the spoiler thread..
Resource seed is 14. None of the visible grass is covering any specials. There are some ocean specials nearby. As far as the specials go, the best that can be done for the capital is Peat+fish. What are your plans for, or if you have already started, what did you do with the second settler? Did you build a second city asap or kept it for a while, perhaps till all the irrigation is done? For the most part, I have always liked to have the NON settler. In most games, unless there is some other reason to build the second city quickly, I usually keep the second settler for terraforming. In this game, I definitely planned on using the second settler to help complete the irrigation.